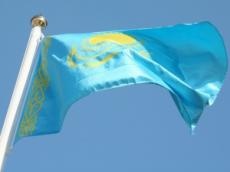 Kazakh Prime Minister Bakytzhan Sagintayev has charged to get ready for building up the country's meat export, Kazakh media reported on April 24. “We have to channel our best efforts to realize beef farming development program for 2018-2027. In 2010-2016, we made a commitment on export of stock-breeding products. Thanks to the efforts of the head of state, barriers in supplying sheep breeding products, horse meat to China, cattle and small ruminants' products to the UAE were lifted,” the PM said. Earlier, First Vice Minister of Agriculture of Kazakhstan Arman Yevniyev said that the program is expected to let gain a variety of advantages for the sector at large. In particular, it will ensure growth of farm enterprises from 20,000 to 100,000, create new workplaces for rural population from 100,000 up to 500,000, increase head count of cattle, ram up beef and lamb meat from 600,000 tons up to 1.6 million tons and bolster export earnings up to $2.4 billion.